If you’re a gamer and you don’t frequent Reddit, you’re missing out. It’s one of the world’s biggest web communities (actually, it’s a collection of many different subcommunities) and it’s populated with gamers aplenty. 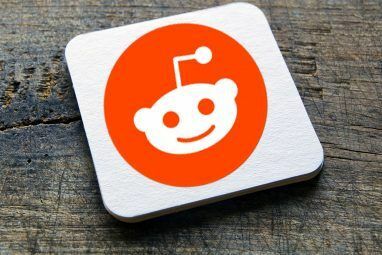 The largest gaming subreddit – aptly called /r/Gaming – is over 5 million members large, but there are many other subreddits also worth exploring. Reddit can be great for activities like trading unwanted games 5 Sites For Safely Trading Your Unwanted Games With Other Gamers 5 Sites For Safely Trading Your Unwanted Games With Other Gamers Gamers, are you tired of trading titles only within your limited arena of friends? Read More and collecting video games The 4 Most Important Websites For Classic Video Game Collectors [MUO Gaming] The 4 Most Important Websites For Classic Video Game Collectors [MUO Gaming] Collecting video games is hard work. Sure, you can go on eBay and just buy up everything you want, but if you do, you will be paying full market value or more for every game... Read More but it doesn’t stop there. 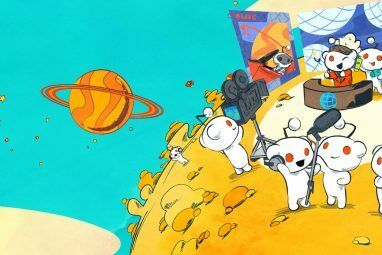 If you’ve never used the site before, you should check out our introductory guide to Reddit. Otherwise, hop right in with these awesome subreddits. One problem with the original /r/Gaming subreddit is that its community has become too big. Not that size is inherently bad but the signal-to-noise ratio tends to grow unmanageable as a community expands. In other words, you have to sift through a lot of crap to find the diamonds. And thus, /r/TrueGaming was born. Long story short, /r/TrueGaming is the same as /r/Gaming except with much higher moderation standards. It’s all about high-quality gaming-related discussions that promote meaningful and insightful comments. Everything else is bunk. If you want mindless humor, fluff, and circlejerks, /r/Gaming will always be there. For something more serious, /r/TrueGaming is where you want to be. As the name suggests, /r/GamerNews is a subreddit where you can find all manner of news related to the gaming industry. Anything from release date announcements to post-launch revenue stats, from gameplay trailers to leaked screenshots, you’ll find it all here. The beauty of this subreddit is that it’s a self-curated news feed. The upvote-downvote mechanic of Reddit brings the juicy news bits to the top while less interesting bits of fluff news get shuffled to the bottom. If you just want to stay on top of the industry without combing through hundreds of different RSS feeds, this is the perfect subreddit. /r/Games_Journalism is a related subreddit where users can discuss the state of gaming journalism – the good, the bad, and everything in between. It’s a relatively new place so it isn’t thriving yet, but there’s a lot of potential for growth. In recent years, the gaming industry saw an enormous surge in quality indie games. Titles like The Binding of Isaac, The Stanley Parable, and even Papers, Please have swept unsuspecting gamers off of their feet, ushering in a new era of games that feel more authentic than any AAA production. It’s the golden age of indie gaming. This subreddit is for anything and everything related to indie games. You’ll find press releases, game reviews, gameplay footage, discussions both simple and deep, etc. This community recognizes the value of indie games and it’s a great place to find new gems that you might never come across elsewhere. Sometimes the price of a game is just too high to justify – even if the game is fun, maybe it isn’t that fun. Other times, there isn’t enough information to make an educated decision and you end up flip-flopping on that Purchase button. If you’ve ever asked yourself “Should I buy this game?” then this subreddit is for you. This community is sizeable enough that there’s a good chance that somebody will have played the game that you’re debating on purchasing. The format for this subreddit is simple: you explain why you feel ambivalent on buying a game and people will tell you whether or not the game fits your expectations. A similar subreddit exists over at /r/GamingSuggestions, which is a place where you can ask others for recommendations on games to play. It’s a smaller community, but it’s active all the same. Need help finding games? You’ll find your answers there. If you’re a gamer and you don’t use Reddit, you’re only hurting yourself. You don’t have to bother with all of those other crazy subreddits that tend to be poorly represented in the media. 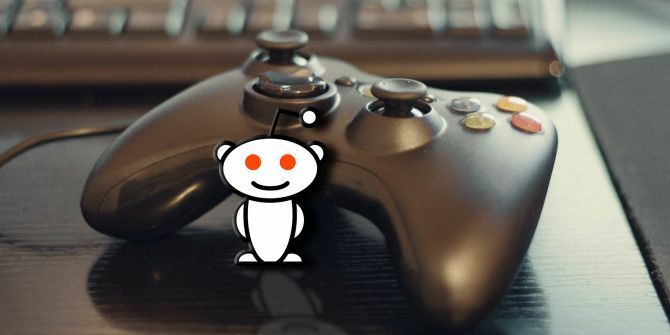 Ignore the rest of the site if you must, but do yourself a favor and check out these gaming subreddits. They’re worth your while. Are you a gamer on Reddit? What other gaming subreddits are out there that deserve more attention? Which ones are your favorites? Share with us in the comments!